I have been watching anime since I was 7 or 8. I love anime, mainly horror/psychological/philosophical anime. I also love Slice of life, comedy, romance, magical girl, and any anime that hits me with the feels! I love the Hyperdimension Neptunia series and have played all of the games thus far! Nep is love, Nep is life!! Never feel ashamed or bad for liking anime that someone else hates. Who cares if a lot of people hate an anime that you love? It should not matter because as long as you enjoy it, that is what truly matters, yeah? I rate an anime based on how much I enjoyed it! Whether the anime is considered good or bad by the community, it is my view on it that matters the most to me! Anyway, have a wonderful day! Feel free to send friend requests and club invites! I'll most definitely accept them!! I rate anime completely different than most people do. I don't rate them in a critical and/or analytical way. I do it purely based of how much I enjoyed it. Was it able to keep my attention, did I ever once get bored with it, and can I easily re-watch it? I am not a picky anime watcher. I will pretty much watch anything, and I watch with an open mind. 10 - Any anime that I give a 10, is an anime that I love to death! My all time favorites. To me, they are super enjoyable. I can easily watch them over and over again and never get bored. I was able to grow a strong connection to these anime. I personally consider these to be masterpieces! 9 - This score is given to an anime that I truly enjoyed immensely. It's really great and I never once felt bored. My attention was never lost. Not quite a 10, but damn close. 8 - This score is given to an anime that I really enjoyed. This anime, to me, was really good! Never once was I bored while watching. 7 - This score is given to an anime that I enjoyed. It was not amazing, but it was not bad either. I liked this anime. I rarely was bored. There were a few boring moments, but not enough to affect my watching experience. 6 - This score is given to an anime that I thought was fine. It was nothing special. I enjoyed it some of the time. Often times I'd lose interest in the anime, but still stuck with it. It had some good moments. 5 - This score is given to an anime that was average at best. I found myself bored with it more often. I had very little enjoyment in it. I'd end up just listening to it in the background, than actually paying attention. 4 - This score is given to an anime that was not good at all. A bad anime with damn near no enjoyment at all. I became bored very easily. 3 2 1 - These scores are given to anime that are just plain terrible. Boring, no enjoyment whatsoever. I regret watching it. Check out my MAL Graph! These are in no special order and I love them all equally. 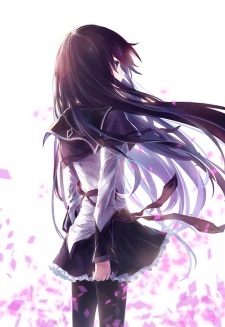 Mahou Shoujo Madoka★Magica: Homura Revenge! heyy, im fine annd u? i see you gave it a 10 :O what do you like about it so much? what do you think is anime of the season? have you been watching anything good? how did you find the latest episode? there really is a lot!! i'm super impressed by your interpretation skills, it shows how much you really do love the show!! ooh i see! what's your opinion on inuyashiki? which is your fav this season? how are you finding the current airing season?